he Stericlean robots are wall-mounted below the actual working level so as not to adversely affect the airflow. 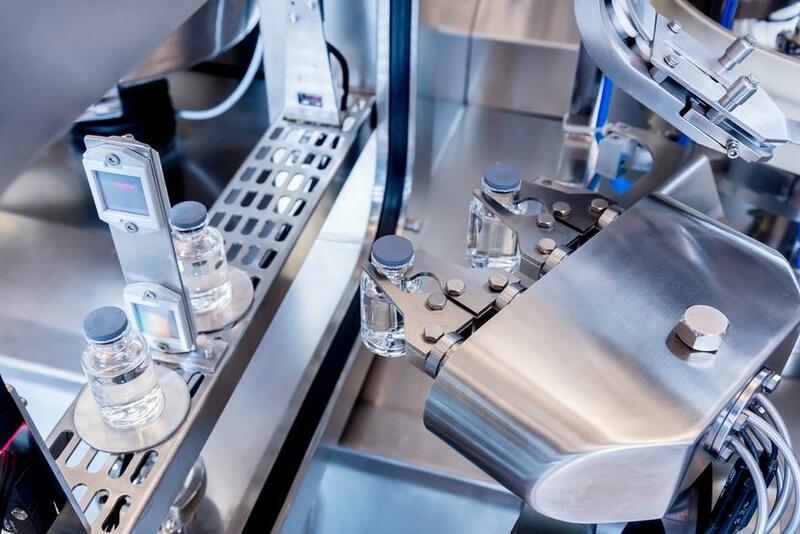 The liquid filling line for vials is completely finished in stainless steel and complies with cGMP (Current Good Manufacturing Practice) guidelines. 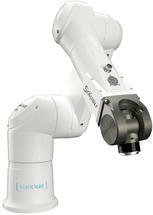 The robots bring additional flexibility into play, due to their grippers can easily handle different types of vials. 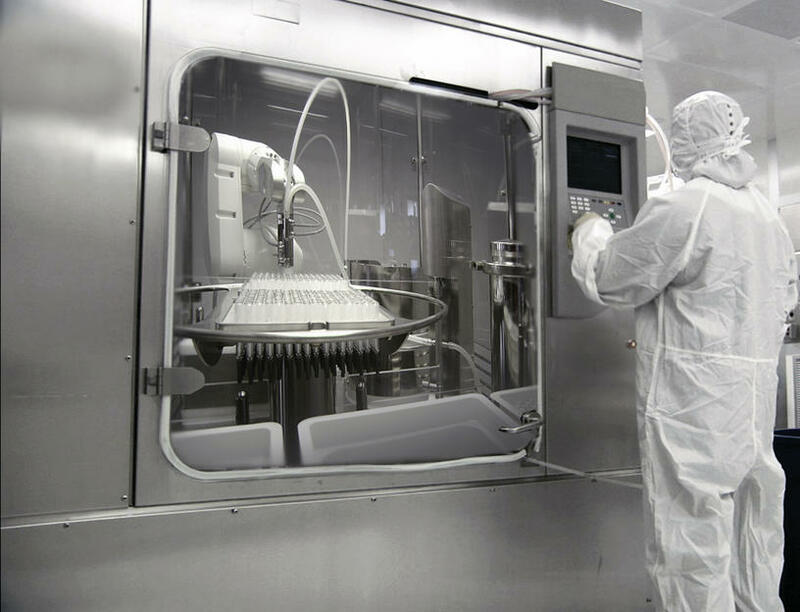 Aseptic isolator with a Stäubli Stericlean 6-axis robot arm. 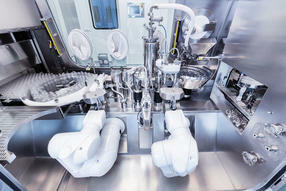 Automation solutions for processes carried out under aseptic conditions are increasingly in demand. 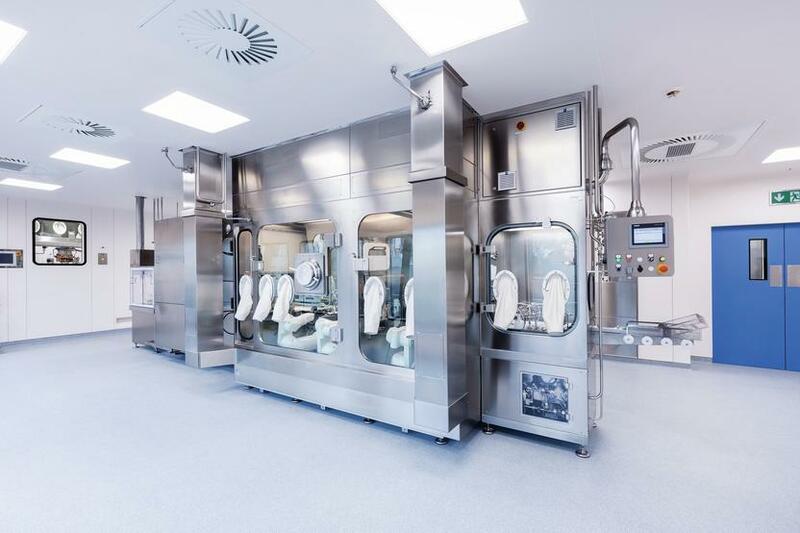 The manufacture of highly sensitive products such as drugs, cytostatics, cosmetics and the like calls for maximum operating reliability. Robots are the solution of first choice, as long as they meet the stringent requirements for use in sterile production environments. The hygienic cleanroom and Stericlean robots from Stäubli make it the global leader in life science applications. 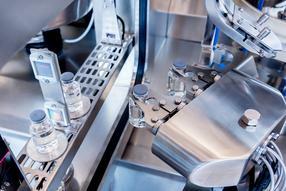 The company is delivering revolutionary automation solutions for sterile processes. Take a look at the specific application examples in our “White Paper”. We are convinced that you will be impressed by the many benefits and opportunities illustrated there. Stäubli Robotics : "the playground"